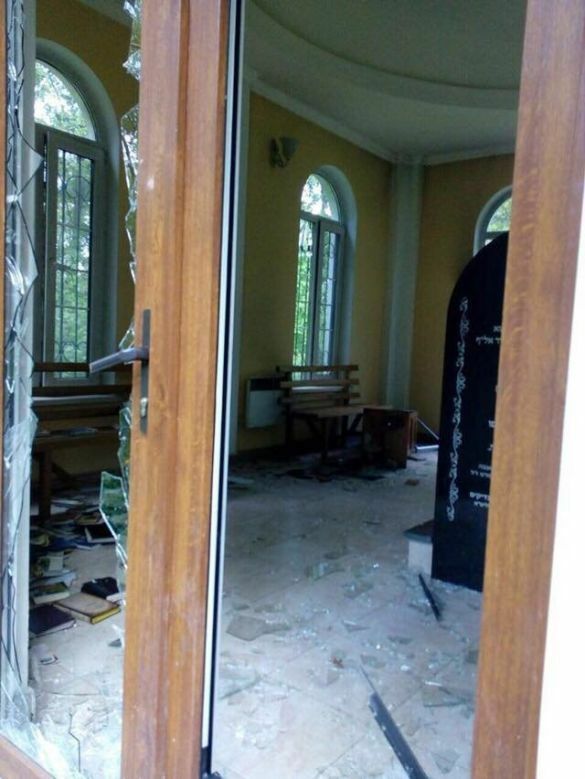 Vandals have desecrated the grave of Rabbi Maharsha located in the town of Ostrog, Rovno region of Ukraine, told on Wednesday the head of the Ukrainian Jewish Committee Eduard Dolinsky. «The brutal massacre at the tomb of the great Rabbi, Maharsha (1555-1631) in Ostrog, Rivne region. All the Windows in the chapel were broken, the Holy books are scattered,» wrote Dolinsky in Facebook. He also said that the defeat of the grave occurred on the night of 27 to 28 April, but only noticed it now. Rabbi Maharsha died in the town of Ostrog in 1631, and was buried in the Jewish cemetery. In the 1990s, according to old documents it was discovered his burial place, and later there was built a prayer hall and the tomb restored. Нет: совсем иначе. Т. е. очень хотим и желаем избавиться, освободиться - раз и навсегда - от московско-имперского шовинизма и черносотенного мракобесия и его адептов!